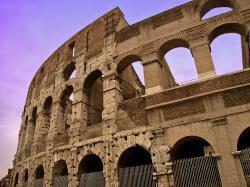 First stop Rome with its cozy trattorias and remnants of the famous Roman civilization. Contemplate the city's rich history while devouring a plate of pasta. Continue to Italy's cultural capital, Florence, known for its art treasures including Michelangelo's David. Enjoy some tasty Italian gelato and then stop at a boutique to perhaps purchase a souvenir made from luxurious Italian leather. End your trip in the picture perfect city of Venice where getting lost along ancient stone paths is a pleasure. Contact your travel advisor to book this European vacation today. Want to customize this package? Talk to your travel advisor about what you'd like to change in order to make a vacation that's perfect for you!